San Antonio assistant general manager Lindsey is expected to take over duties. Kevin O'Connor Chris Detrick | The Salt Lake Tribune Jazz general manager Kevin O'Connor talks to the press during the NBA draft at the Jazz practice facility on June 26, 2008. 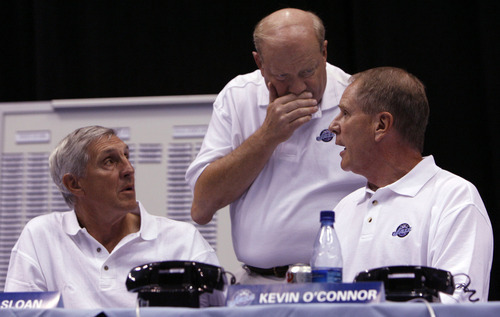 Francisco Kjolseth | The Salt Lake Tribune Utah Jazz coach Jerry Sloan, owner Larry H. Miller and Jazz Vice President of basketball operations Kevin O'Connor discuss their options in the final moments to their first round pick on June 8, 2008. Chris Detrick | The Salt Lake Tribune Kevin O'Connor poses for a portrait inside of the Energy Solutions Arena Wednesday August 19, 2009. Trent Nelson | The Salt Lake Tribune Utah Jazz general manager Kevin O'Connor during a press conference addressing the trade of star Deron Williams in Salt Lake City, Utah, Wednesday, February 23, 2011. Trent Nelson | The Salt Lake Tribune Utah Jazz owner Greg Miller, left, and general manager Kevin O'Connor address the trade of star Deron Williams during a press conference in Salt Lake City, Utah, Wednesday, February 23, 2011. Kevin O'Connor plans to relinquish his position as longtime general manager of the Utah Jazz, The Salt Lake Tribune learned Monday. Dennis Lindsey, San Antonio vice president/assistant general manager, is expected to take over the role. 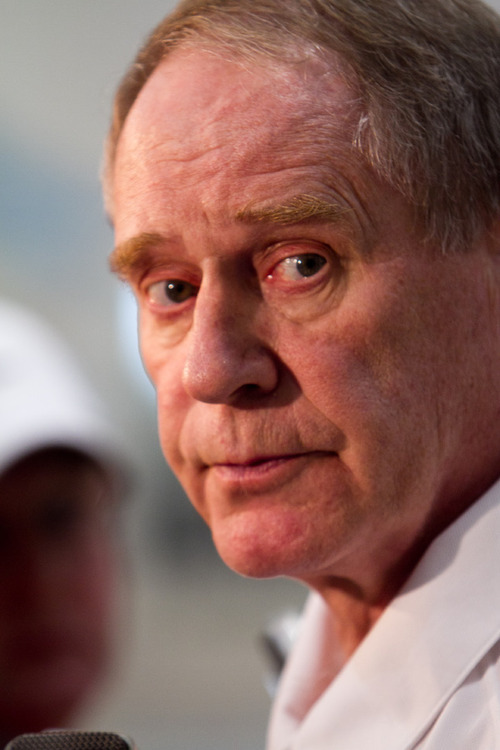 O'Connor, 63, will still guide Utah's basketball operations and retain key aspects of the "executive vice president" portion of his job title. Yahoo! Sports first reported Lindsey's expected hire. "He's a good evaluator, has common sense and doesn't have a big ego," said a league source familiar with Lindsey's career arc. "He'll be a good fit with Kevin, who talks as much as the sphinx." Before joining the Spurs, Lindsey spent 11 seasons in Houston. He apprenticed under former Rockets GM Carroll Dawson, and was in position for a job that eventually went to current Houston GM Daryl Morey. O'Connor and San Antonio GM R.C. Buford declined to comment when asked about Utah hiring Lindsey. However, the Jazz announced late Monday they've scheduled a front-office-related news conference for 10 a.m. Tuesday. Oklahoma City's Troy Weaver and Cleveland's David Griffin were considered for the job, Yahoo! reported, with Weaver deciding to remain with the Thunder. 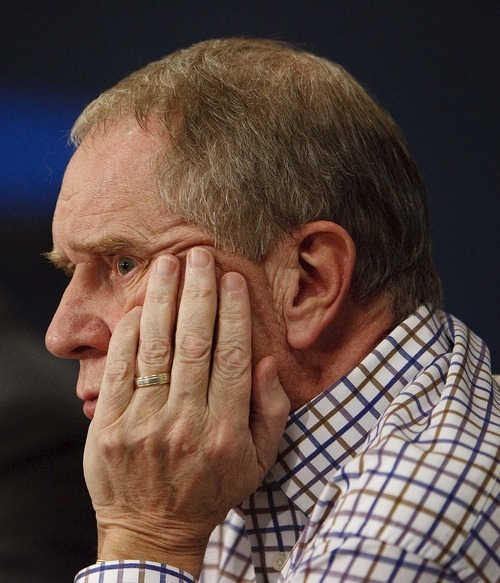 The Jazz have one of the smallest front offices in the NBA, and O'Connor's decision will push forward a modernization process that began when Hall of Fame coach Jerry Sloan resigned in February 2010. 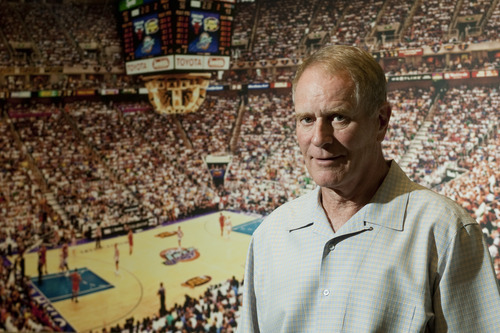 Post-Sloan, O'Connor has run the Jazz's day-to-day operations while guiding the small-market organization into a new era. Now, the second-longest tenured GM in the NBA can continue to oversee basketball operations at the same time he grooms a potential successor. A league source with ties to O'Connor told The Tribune the move makes "perfect sense." By removing himself from the day-to-day grind of being a GM  dealing with agents, travel, nonstop phone calls and endless rumors  O'Connor should be able to streamline his responsibilities and provide the Jazz with sharper leadership. "Kevin's one of the most stable and well-respected GMs in the league, but the job wears on anyone," the source said. "Kevin's the presidential-type. He'll be able to oversee, delegate and run the Jazz like an NBA team should be run." A league source with knowledge of the Jazz's organizational operations envisioned a scenario in which O'Connor could take over all aspects of basketball operations, while president Randy Rigby would continue to control the business side of the Larry H. Miller Group. 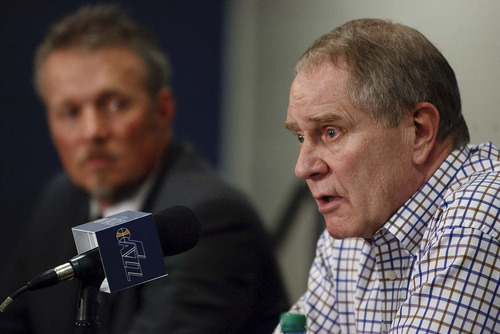 O'Connor is expected to continue to rely on Bob Hyde, Jazz executive vice president/chief financial officer, for salary-cap and financial expertise. O'Connor's move was not a surprise to some who regularly deal with him. However, many within the Jazz organization were completely caught off guard when contacted Monday by The Tribune. O'Connor has been the Jazz's primary basketball voice for 13 seasons, navigating Utah through two major transitional eras  the retirements of John Stockton and Karl Malone, and Sloan's resignation  and keeping the Jazz competitive during three decades. He's trusted by Utah coach Tyrone Corbin, highly valued by Jazz CEO Greg Miller and Rigby, and respected by everyone from premier NBA agents to journeymen veteran players. While O'Connor is widely regarded as one of the best GMs in an ever-changing league, aspects of the job have begun to wear on him during the past two seasons. In the past 18 months, All-Star point guard Deron Williams and Sloan have left the Jazz. Utah returned to the playoffs last season after a surprising 36-30 regular-season record that exceeded expectations. But the Jazz still have much work to do to become an NBA-title contender, and Utah could have as many as eight players under expiring contracts once the 2012-13 season starts. After Sloan resigned, O'Connor became the most powerful figure in the basketball side of the organization. 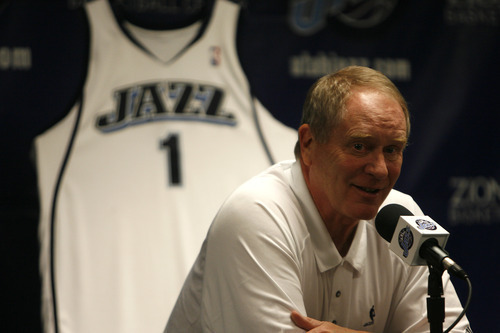 He orchestrated the blockbuster Williams trade, recently exchanged Devin Harris for Marvin Williams, and has provided Utah with major financial flexibility heading into the summer of 2013.